APSC CCE Syllabus 2018 is clearly available on this page. To help the applicants we are sharing APSC CCE Syllabus 2018 PDF in the below section. So, candidates who are interested to attend for Combined Competitive Prelims Exam can download the syllabus PDF and start the preparation. Aspirants can see this page and download Assam Combined Competitive Exam Syllabus. Along with the syllabus we mentioned Exam Pattern and Selection Process also. Candidates are advised to check out the updated syllabus from here and prepare well. The Assam Public Service Commission is conducting the Combined Competitive Exam. In the below section check the syllabus for Assam Land & Revenue Service (Jr. grade), Assam Civil Service (Jr.Grade), Assam Police Service (Jr.Grade), Superintendent of Excise, Asstt. Employment Officer, Superintendent of Taxes, Inspector of Taxes, Inspector of Excise, Labour Inspector Posts. Applicants who are in search for latest APSC CCE Syllabus 2018 this is a good news. Because this page provides Assam CCE Syllabus 2018, Exam Pattern and Selection Process information. By having the proper study material all the aspirants can easily prepare well for the Combined Competitive Exam. In the below section, we mentioned syllabus for both prelims and mains. Scroll down and check the Assam CCE Prelims and Mains Syllabus 2018 in a PDF format. 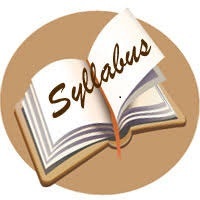 Hence, by checking this complete post you can easily find the topic wise syllabus. Aspirants who are ready to attend for APSC Combined Competitive Exam must download the new syllabus in a PDF format. Start the preparation according to the given APSC CCE Syllabus 2018. More details about the syllabus are enclosed in the below section. All the important topics are furnished in the below. Scroll down and collect APSC CCE Prelims Syllabus. For better marks, all the candidates can download the Assam Combined Competitive Exam Syllabus 2018. Applicants now collect the provided APSC CCE Syllabus 2018 and Test Pattern. For effective preparation, all the contenders can make a better preparation plan. Candidates can start the preparation with the help of attached information. We mentioned syllabus and exam pattern for Assam Land & Revenue Service (Jr. grade), Assam Civil Service (Jr.Grade), Assam Police Service (Jr.Grade), Superintendent of Excise, Asstt. Employment Officer, Superintendent of Taxes, Inspector of Taxes, Inspector of Excise, Labour Inspector Posts. Collect the valuable information and prepare well. See the provided information and prepare well for the Assam Combined Competitive Exam. Candidates who are going to attending for APSC CCE Prelims Exam they must refer the given data. Check the APSC CCE Prelims and Mains Exam Pattern 2018 from the below. Moreover, candidates must know the APSC CCE Exam Pattern because you can know the structure of the exam. Collect the details and make a proper preparation plan. Below we explained test pattern for both prelims and mains exam. After checking the Assam Combined Competitive Exam Test Pattern, you can know the Total Sections, Papers, Maximum Marks, Time Duration and Weightage For Each Section. Refer the concept wise syllabus from the below. This is a right time for the candidates to begin the preparation. Note down the required topics and start the preparation. Candidates who qualify in the prelims exam they only attend for mains test. Candidates can easily get the complete details from this page. A lot of candidates are applied for Combined Competitive Exam and ready to participate in prelims exam on scheduled dates. Candidates who are applied for Combined Competitive Exam they must face Prelims, Mains, and Personal Interview. On this page, we are providing Assam Land & Revenue Service (Jr. grade), Assam Civil Service (Jr.Grade), Assam Police Service (Jr.Grade), Superintendent of Excise, Asstt. Employment Officer, Superintendent of Taxes, Inspector of Taxes, Inspector of Excise, Labour Inspector Syllabus. So, prepare well for the written test and get a good score. With the help of APSC CCE Syllabus 2018 candidates can make a better preparation plan. By following the given details, all the candidates can start the preparation by checking the latest APSC Combined Competitive Exam Syllabus. Take help of given information and make a better preparation. In order to crack the written test candidates must have complete details. Also, practice many APSC CCE Sample Papers and crack the exam. Candidates can check the below information and prepare well. We collected the complete details from the official site of Assam Public Service Commission (APSC) and provided here. Hence, candidates can click on the below link and download the syllabus. We suggest all the candidates better to begin the preparation as soon as possible. Candidates can download the subject wise syllabus from the below section. Look at this page and download the syllabus in a PDF format. Applicants for Assam Land & Revenue Service (Jr. grade), Assam Civil Service (Jr.Grade), Assam Police Service (Jr.Grade), Superintendent of Excise, Asstt. Employment Officer, Superintendent of Taxes, Inspector of Taxes, Inspector of Excise, Labour Inspector Posts have a look at this page and download the syllabus in a PDF format. Moreover, all the candidates can scroll down and get the latest syllabus in a PDF format. View this page completely and grab the details. Syllabus plays a major role in every test. Without having the syllabus candidates do not attend for the test. The provided syllabus is important for the aspirants who are applied for Combined Competitive Exam. Candidates can bookmark our website Sarkari Naukri and get the syllabus for all competitive exams. Hope the given APSC CCE Syllabus 2018 is useful for the candidates during the preparation time.